Are you anxious about your exams? Do you start to panic that you might need more practice answering questions? This book features 13 chapters covering essential core cases, with expanded teaching notes alongside each answer to help you clearly understand the subject matter. Are you anxious about your exams? Do you start to panic that you might need more practice answering questions? If so "Medical Finals: Short Cases with Structured Answers" will give you essential revision of popular core cases. The questions will test your problem-solving and decision-making skills in a structured and objective way. The book features 13 chapters covering essential core cases, with expanded teaching notes alongside each answer to help you clearly understand the subject matter. Questions are designed to test problem-solving and decision making skills. A balanced selection of core medical cases is included to give students an invaluable method of self-assessment. A revision checklist is included to track progress and help with revision planning. 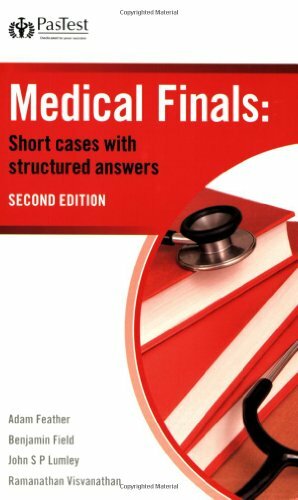 This revised and updated title from PasTest is the new edition of the best-selling "Medical Finals: Structured Answer and Essay Questions".